Defence Minister Nirmala Sitharaman has said "Pakistan will pay" for the attack by terrorists from across the border on an Army camp in Jammu on the weekend, in which five soldiers and a civilian were killed and 10 people, including women and children, were injured. "I wouldn't certainly state a timeline (for action against Pakistan). But will say this, Pakistan will pay for this misadventure. I repeat, Pakistan will pay for it," the minister said at a press conference in Jammu. She was asked by reporters what action the government plans after a spike in terror attacks by Pakistan-based terror groups despite the surgical strike in September 2016, when Indian forces crossed the Line of Control and targeted multiple terror bases, less than two weeks after terrorists attacked an Army camp in Jammu and Kashmir's Uri, killing 19 soldiers. The Defence Minister said there is intelligence that the three terrorists of the Jaish-e Mohammad who attacked the camp were controlled by handlers in Pakistan. The elite National Investigation Agency, which probes terror cases, is scrutinising evidence, Ms Sitharaman said, adding that Pakistan is "expanding the arch of terror to areas south of Pir Panjal ranges and resorting to ceasefire violations to assist infiltration." "Definitely evidences will be given, as always, to Pakistan. And yes, Pakistan in spite of us giving dossiers after dossiers has not taken any action. On the contrary, we find people who were directly responsible for the Mumbai terror attack and many others are still free and happily roaming in Pakistan," said the minister, who on Monday visited the military hospital where those injured are being treated. Ms Sitharaman also met Jammu and Kashmir Chief Minister Mehbooba Mufti. Defence Minister Nirmala Sitharaman said evidence of the terror attack at Sunjuwan Army Camp will be shared with Pakistan. "The Ministry of Defence will stand by the Army. We have to work together with the Jammu and Kashmir government," the minister said. Earlier on Monday, Pakistan accused India of "rushing to judgment without a full inquiry." Pakistan's foreign ministry said in a statement that it hopes the international community will urge India to "refrain from any misadventure across the Line of Control." 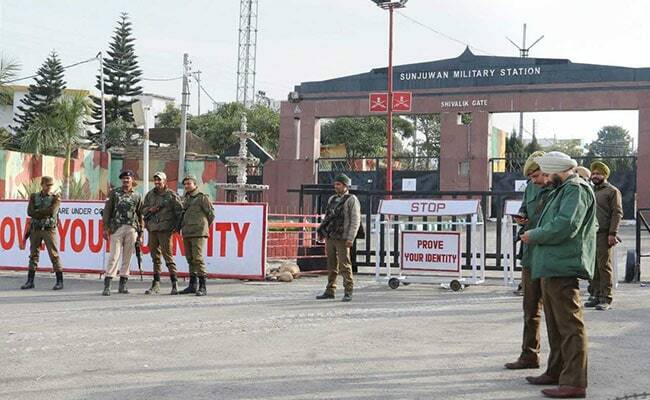 At dawn on Saturday, the terrorists attacked the Sunjuwan camp of the 36th brigade of the Jammu and Kashmir Light Infantry, with 150 quarters where soldiers stayed with their families. Five soldiers and the father of one of them were killed and 10 people were injured, among them women and children. A pregnant woman was shot in the back. A 14-year-old boy has gunshot wounds to his head and is battling for life. Ms Sitharaman said there had been alerts that "Pakistan-sponsored terrorists would hit soft targets." The terror module, Ms Sitharaman said, had likely infiltrated some time back and could have had local support. There were reports, she said, of a fourth terrorist involved, who could have been a guide.